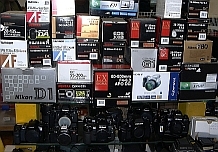 The camera-trade-shows offers the best opportunity of purchasing rare fine cameras for collectors, hardly to be found anywhere else. European Camera Shows Germany are massive international camera fairs for dedicated amateurs, professionals and collectors. 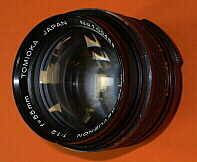 The published rare cameras are sold on the camera shows in Berlin, Dortmund, Dresden, Essen, Frankfurt, Hamburg, Koeln, Leipzig and Muenchen. 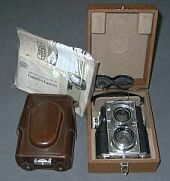 Come and visite the next shows and pick one of the worlds rare and fine collector cameras. 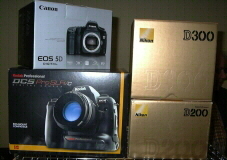 You are looking for a professional DSLR Camera. 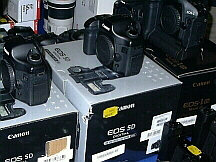 The camera-trade-shows presents second hand and new DSLR bodys and special lenses for using with Digital Cameras. Find lots of pictures an informations on the camera-shows facebook website.